Having an automated gate in your house does not only add protection to your home, it also adds to the aesthetic value of your property. Installing an automatic gate is one thing and maintaining it is another. If you already have an automated gate installed on your property, the next thing you need to do is make sure that you are maintaining it properly. 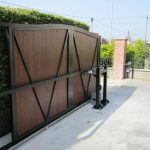 Depending on the type of automated gate you have acquired for your residential or commercial property, taking care of it should be fairly easy as long as you follow instructions from its maintenance guide that should be included with the product. There are certain procedures that may need the help of a professional but the average property owner can carry out the tips listed below. 1. Make a regular inspection. Make sure that you follow a regular schedule to inspect your automatic gate. Check the gate opener, the metal racks, drive belt, dents in panels, electrical connections, rollers, and bearings. Inspect the bolts and make sure that they are tightly screwed or held in place. If there are loose bolts holding springs or cables, do not touch them since it might break if you try to tighten them. Call a maintenance service technician to fix it. If your sliding gate is made of wood, check if wooden components need to be repainted or oiled. 2. Observe measures for rust prevention. You need to be proactive in looking for signs of rust. Some of the common causes of rust include dirt and dust accumulation coupled with exposure to extreme weather condition. If you see a sign of rust, you can remove it easily by washing the sliding gate with a mild household detergent. If there is too much corrosion, you can scrub the affected areas with sandpaper. You need to make sure to keep your automatic gate clean by washing and waxing it at least once a year. If your gate is wooden, you need to paint it or oil it. These maintenance tasks can keep your gate looking new and beautiful for a long time. Moreover, it is cheaper than having it renovated completely. Just make sure to avoid getting water into the door opener as it gets easily damaged. 4. Lubricate the important parts. One important way to maintain your automatic gate is to lubricate its parts every six months with the recommended lubricant. Usually, the parts that need lubrication are those that are responsible for moving the gates automatically – these are the chain, roller, pulley, hinge and various screws. Your automated gate needs a friction-free surface to ensure safe operation and prevent wear and tear of its parts. Additionally, you have to lubricate the internal chains of the swing gates, too. 5. Check the auto reverse functions of automated gates. Do it at least once a month. If you are a homeowner, you can do this by yourself by placing a length of 100mm x 50mm timber flat on the floor (50mm high) in the centre of the doorway, where the door closes, and allowing the door to close on top of the timber. If it is working correctly, when the door strikes the timber on the floor, the door opener will recognize the timber as an obstruction and stop and reverse the door back to the open position. If you want your automatic gate to last longer, make sure that you maintain it properly. If you think that you can’t do it on a regular basis, it would be better to hire a service maintenance crew to help you take care of your automatic door. TPS Electric Gates designs, installs, and maintains high-quality automated gates for the home. Based in Lydney, Gloucestershire, our dedicated team can install and service gates within a 50-mile radius. Visit our website TPS Gates & Doors Ltd for more information on the products and services we provide. 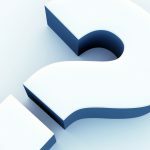 What Are the Different Types of Electric Sliding Gates?